Customer Kathy inherited a pressure cooker with some interesting inserts. 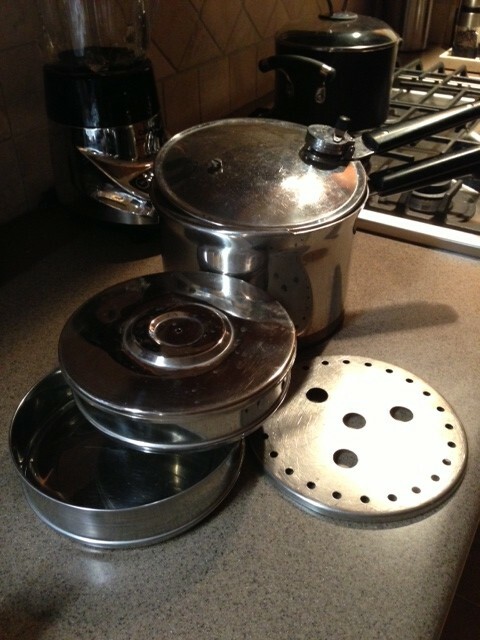 Does anyone have an idea if they belong to the vintage pressure cooker (they don’t appear in the manual) and what they might be for? 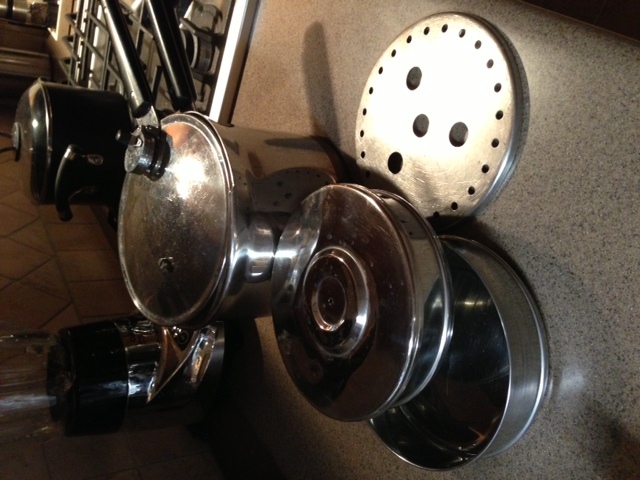 This looks like my 1949 revere ware (flat bottom) pressure cooker. I still have the original manual, and the only piece that is part of the cooker is the flat trivet with the holes around the outside and 4 larger center holes. 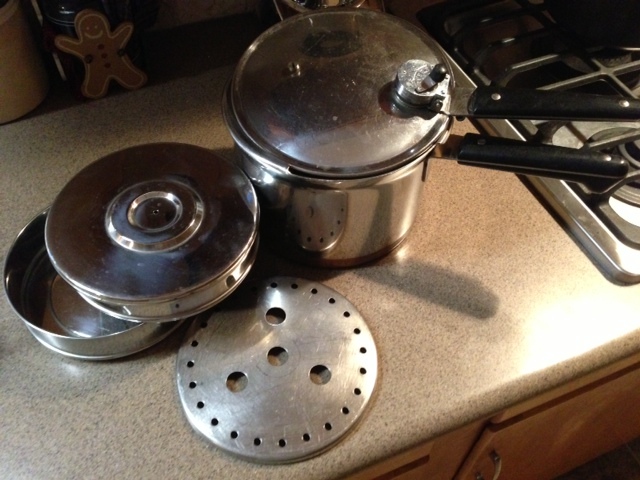 I have no idea what those other 2 pieces are, but they are definitely not part of the pressure cooker. In fact I don’t think that they are revere ware at all, at least none that I have ever seen and I have all my mom’s 50’s pots, pans and skillets.